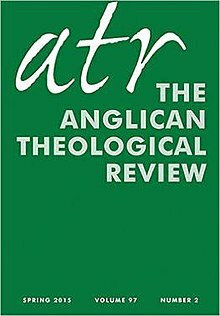 The Anglican Theological Review is the "unofficial journal of the seminaries of the Episcopal Church in the United States and the Anglican Church of Canada." Issues include peer-reviewed articles, poetry submissions, and book reviews. ^ a b "About". Anglican Theological Review. Retrieved 29 August 2015. This article about an academic journal on religious studies is a stub. You can help Wikipedia by expanding it. This Anglicanism-related article is a stub. You can help Wikipedia by expanding it.